With a diverse and ever changing communications landscape, the challenge many contact centers and call centers face is how to transition from TDM technologies that are costly to maintain to next generation IP communications with all the inherent advantages over TDM without having to make expensive investments in new infrastructure. • Leverage your existing investments and simplify the transition to SIP Trunk networks with an all IP platform that connects TDM (Time Division Multiplexing), IP interfaces and wireless networks without having to rip and replace your existing telecom infrastructure. • Maximize the efficiency and reduce the communications cost with our SIP Trunking services that intelligently enable voice and rich media LCR (Least Cost Routing) for SIP Outbound Termination and Inbound Termination. • Simplify your processes by connecting your IVR (Interactive Voice Response), ACD (Automatic Call Distributor), CTI (Computer Telephony Integration) and other apps directly into network Services. • Provide on-demand capacity with services to rapidly scale for heavy voice termination requirements from short duration outbound IVR, predictive dialer telemarketing, and automatic notification traffic flows. ECTtelecom consistently offers the lowest cost, High Speed Internet, Voice, SIP Trunking and contact center and call center solutions. For a no obligation quote CLICK HERE, or more information about SIP Trunking and Cloud Communications contact an ECTtelecom specialist today at U.S. Toll Free 800-664-3071 or International 850-936-5887. The inContact platform is revolutionizing the way call center operations buy contact handling/workforce optimization applications. Unlike traditional, on-premise call center solutions, the inContact product suite is a set of on-demand software applications within our powerful IP network. 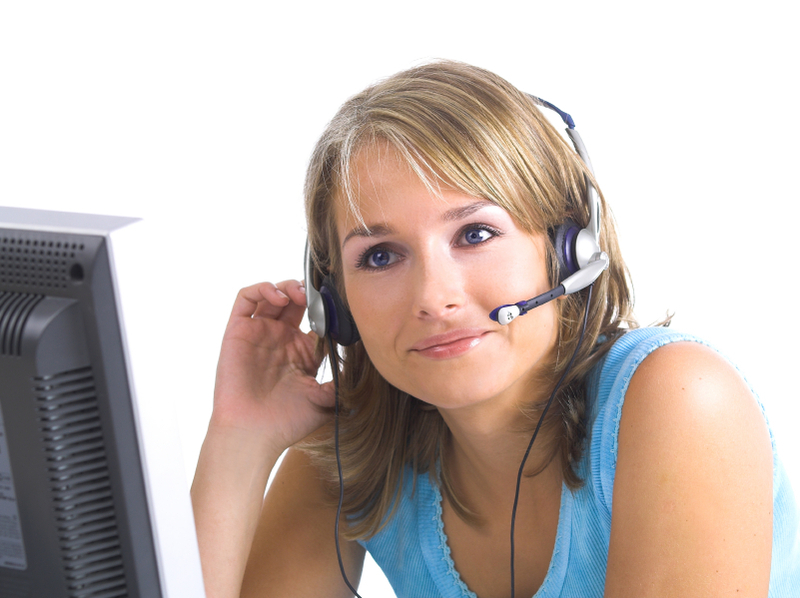 inContact is designed to support call center agents from anywhere – within a call center facility or from home. The inContact vision is to give our customers the ability to go from being a traditional call center to a full-featured contact center. Because inContact applications are hosted within our network, our products seamlessly integrate with your existing telecom investment. No costly facility improvements are required to add ACD (Automatic Call Distributor) with skills-based routing, IVR (Interactive Voice Response) and speech recognition, CTI (Computer Telephony Integration), call blending and universal queuing. The inContact cloud-based suite includes TDM and VoIP voice service such as SIP Trunking Outbound Termination and Inbound Termination for contact centers and call centers. Our agent optimization features can provide additional value to the way your call center operates including an innovative hiring solution, an eLearning tool, workforce management functionality and a customer feedback and survey solution. All these features support multi-site locations and at-home workers from a unified system interface. The inContact suite levels the playing field, bringing advanced contact center applications to every call center business. Managers benefit because they can quickly scale up or down, responding to changes in the overall business environment. The most popular enhancements are now pre-integrated and delivered in an affordable pricing service model. For more information about how to increase talk times and agent productivity for contact centers and call centers contact an ECTtelecom specialist today at Toll Free 800-664-3071, or International 850-936-5887. To acquire new business and retain the old, you have to deliver better customer service than your prospect can and do it for less than your competitors. Unfortunately, you’re an outsider trying to be an insider and running a good call center is expensive. Not to mention, with all the other outsourcing call centers out there, you’ve got to deliver real, measurable value to your prospects while still making a profit. inContact understands your challenges as an outsourcer like no one else. We as an inContact partner know when it comes to differentiation, for you, it’s not just a matter of branding, but a matter of success or failure. We can help you add measurable value to your clients by enabling you to collect critical business intelligence that can increase your customers’ dependency on your services. Not only can we increase your competitive edge, but we can help you reduce operational expenses and cost per call and help you deliver a better, more profitable customer experience for your contact center. ECTtelecom has been a partner with inContact since 1998. We know contact centers and call centers and bring our telecom knowledge to the inContact management that includes SIP Trunking and TDM Long Distance Service. For more information about inContact contact us today at Toll Free 800-664-3071, or International 850-936-5887.